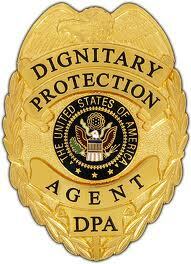 Our Dignitary Protection Teams are highly trained off duty Police Officers. That are Armed or Unarmed at Clients needs or request. All our Professionals have way beyond the required training required by the State to have Concealed Weapons Permits. Our Professionals have Extensive Weapons and Weaponless Defense Training. Most Importantly our professionals unlike most in our fieid are required to be trained in Verbal Judo. This is a specialized training that trains our professionals to discretely handle potential problems verbally instead of physically. Our goal is always to de-escalate any situation that may arise quickly and quietly without disruption to our Client. Our Teams consist of both male and female professionals. We provide Protection Services to Hollywood Award Shows, Major Hollywood Events, Private Celebrity Clients as well as Corporate America. 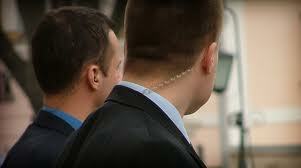 These are not "Bodyguards" or "Security Guards" these are Professional Personal and Asset Protection specialists. Our Professionals are extensively trained in Personal and Asset Protection unlike "Police Officers" training alone, that do not emphasize this training in any mainstream Police/Sheriff's academy. Dark suits and ties are the normal dress code for our teams. However our Professionals do dress in the appropriate attire for every occasion to fit in blending with the public when the client requests it. 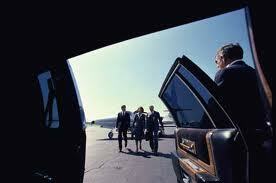 We also provide Protection Services for Red Carpet Events and Movie Premiers. We can provide Typical Jacketed or Uniformed Security and Crowed Control Services. We proudly serve on the council of The Student Safe-Rides Program for the RightWay Livery Association. We will gladly Provide References upon request to any qualified potential client. Trademark and Copyright All rights reserved. All reservations cancelled for special events, conventions, red carpet events, multiple car services, consecutive days reserved, will be charge for all time spent for / preparation / schedules / logistics / meetings and all other applicable time spent on planning these multi car or day special events. Discounts promised are only applied when the entire bill is being paid. If you cancel part or all of your services your bill will reflect our normal rates. No discount will be applied to cancellation amounts owed as stated herein. Cancellations received at least 90 days prior to any event will owe us 25% of the estimated event total plus planning charges. Cancellations made within 30 days of any event will be charged 100% of the estimated even total plus all planning charges as explained above in logistics & Planning Fees. The bill is expected to be paid in full within 10 days of billing.. If a Credit Card is declined for ANY reason we charge an additional 10% charge of your total bill on top of your existing bill. If a bill is not paid in full within 10 days of any event (unless paid by credit card) it is considered past due after 10 days of the last day of services rendered. If you cancel your event, your payment (see Cancellation and refund policy) is due within 3 days of the cancel date. If your agreement IS for you to pay with a credit card, your payment is due immediately. 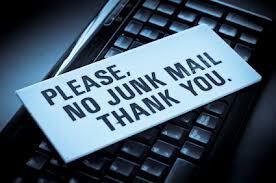 If you cancel your credit card or your credit card is declined for ANY reason you will be charged/owe an additional 10% (percent) on top of your entire bill per day accumulating daily. If You're planning an event where you will be using vendors. ABSOLUTELY YOU SHOULD TAKE OUT EVENT INSURANCE TO COVER ALL VENDORS. If you choose NOT to do this expect to pay vendors out of your pocket. We WILL expect to be paid per our agreement weather verbal or written and per our cancelation policies.